its Enlighten, Inspire, and Strengthen Campaign! 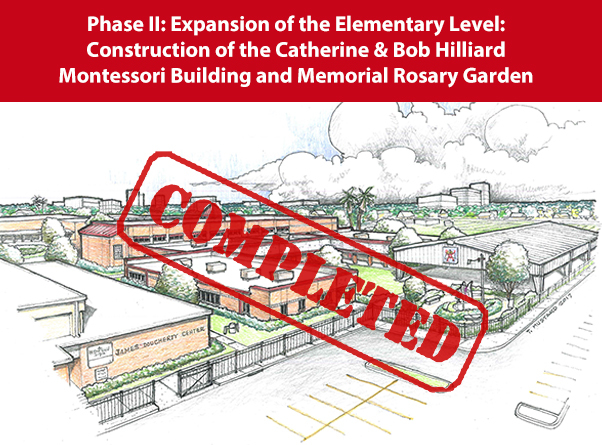 The Capital Campaign was a two-phase endeavor to upgrade our athletic complex and expand the Elementary Level grounds with the construction of a new Montessori building. This campaign was based on a prudent evaluation of the needs of our students and sets forth an energizing future that will assist the Academy to continue to flourish and serve our young people for decades to come. 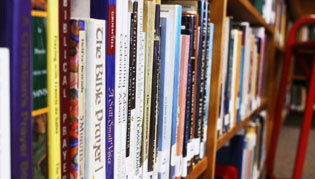 View Picture Slideshows of our Blessing and Dedication Ceremony. The Austin Street Athletic Complex was dedicated in February 2013. The complex provides student-athletes with a state-of-the-art facility which includes an all-weather track, batting and golf cages, storage facility for equipment, turf soccer field, zones for track and field events, and new fencing. 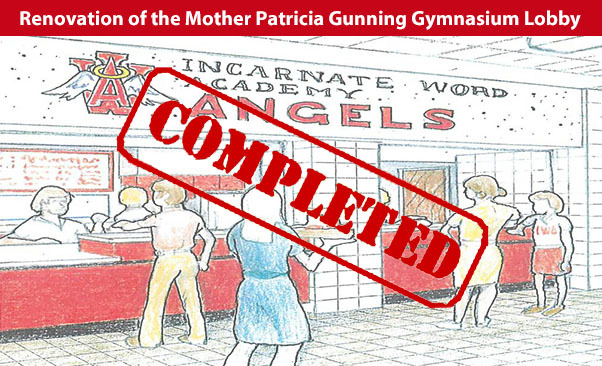 The Mother Patricia Gunning Gymnasium Lobby was designed to provide a full-service concession area. It includes the addition of a family and handicapped accessible bathroom as well as air conditioning. The renovated concession area was dedicated in November 2015 and was named the Sister Catherine Café in honor of Sister Catherine Brehony, IWBS. 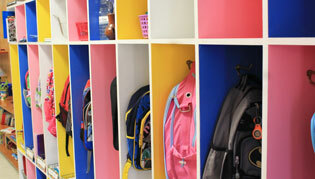 The Catherine & Bob Hilliard Montessori Building was designed to fully orchestrate and enhance the Elementary Level’s Montessori curriculum. The Montessori building includes seven classrooms, an Atrium for the Catechesis of the Good Shepard Program, and administrative offices. 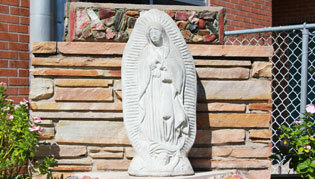 The Memorial Rosary Garden was created to honor the memory of four wonderful Angels. The Garden includes plaques to honor each student, as well as a path on which visitors can walk as they pray the Rosary. of those who have faithfully partnered with us in mission.